Our team is always open to opportunities to collaborate with roasters, café owners, or any other coffee enthusiasts looking to further their coffee and tea education. Whether you’re looking for a bespoke training opportunity for your team or just want to use our space for an event, we’re happy to help! Custom education takes two forms at The Lab; an instructor-led program or shared use of our space. Either way you go, our team will make sure you have everything you need for your time at The Lab to be effective. No matter what direction you go, The Lab is open to everyone from large groups to individuals regardless of experience level. A quick email or phone call to our team is all you need to get started. We’ll talk about what your goals are, your experience in coffee and tea, and what sort of timeline and budget makes the most sense for you. Once we’ve got an idea of what you’re looking for, we’ll send out a detailed proposal for you to review that will outline the specifics of your time at The Lab. From introductory courses on roasting theory to advanced classes on extraction and cafe beverages, The Lab can deliver a tailored education program around any coffee-related topic you can think of. Our state-of-the art equipment from manufacturers like Loring and Sanremo gives you the cutting-edge experience you need to get ahead. 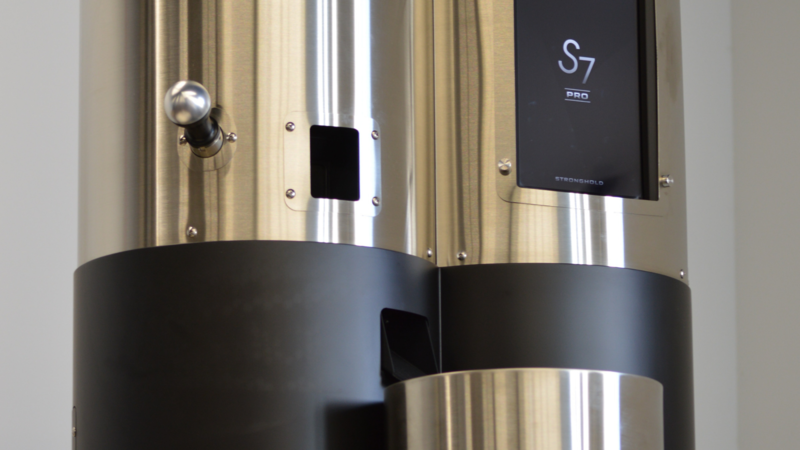 The Lab by Royal NY is run and taught by the most knowledgeable and experienced coffee people. They de-mystify the art of coffee, share their wealth of knowledge in classes designed to teach students practical applications of the coffee knowledge they learn. They’re so encouraging, nice and unassuming that it’s easy to forget how accomplished they are. I took Introduction to Roasting, Barista Fundamentals, and Introduction to Cupping at the Lab and learned what would have taken me years working as a barista and reading and learning on my own. Whenever more classes are offered, you can bet I’ll be there. — Yulee Park, Three Graces Coffee Co.
Our expert team of instructors can provide courses on just about any coffee or tea-related topic you can think of. From coffee roasting to the impact of processing on tea, our instructors are knowledgeable, accessible, and always happy to help. Instructor-led courses typically vary between a few hours or a full day. Longer classes are available upon request. Let us know what you’re interested in and we’ll match you with the instructor best suited to your needs. If you’d prefer to use your own instructor or hire someone from outside The Lab to deliver your training, we’re happy to accommodate. Shared-space rentals cover the cost of equipment and materials as well as reserving the space for your exclusive use. Need some direction on where to start? Give us a call and we can talk specifics.